Temple Beth-El long has been a “training synagogue” for clergy students in the stream of Jewish Renewal. Clergy spiritual formation requires more than rigorous academic learning and inner preparation for spiritual service: it requires learning by doing – to live, love and lose in community with congregants and colleagues. In this way, heart-centered clergy internalize the deep truth that there’s no such thing as theoretical spirituality, or just playing a role as clergy. With mentorship of our clergy, students learn to discover and refine their authentic spiritual selves, to bring alive treasures of Jewish tradition in ways that are both accessible and profound for our entire community. We have been blessed over the years that talented interns and associate spiritual leaders have chosen Temple Beth-El as their training synagogue. They gifted this community with wisdom, creativity, passion, dedication and love – qualities that continue to grace their ways in the world. We bless them to continue growing from strength to strength, and to return to City Island as a second home in their lives of spiritual service. Rabbi Eva joined us while a rabbinical student in the ALEPH Ordination Program (a “seminary without walls” emphasizing Jewish spirituality). She led services, deepened our community’s pastoral care, led chant circles and wise-eldering programs, and played flute and percussion in our Band By the Sea. Today Rabbi Eva is the rabbi of the Shul of New York. She is a spiritual director, trained by Lev Shomea (Jewish Institute for Spiritual Direction) and Kol Zimra (two-year Jewish Chant Leadership Program). An alumna of CLAL’s trans-denominational Rabbis Without Borders, Rabbi Eva also has completed certifications as a teacher of Jewish mindfulness meditation and Jewish yoga. Rabbi Eva’s secular career spanned four decades as a speech and language pathologist. 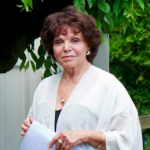 In both public and private settings in California and New York, Rabbi Eva developed a particular interest in children’s language and social thinking development. Recently retired from this work, Rabbi Eva is developing rabbinical expertise in chaplaincy and life transitions. 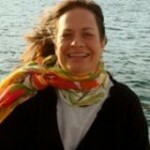 Rabbi Eva also is a visual artist, and also enjoys cooking, dancing, gardening, traveling and adventures. She resides in New York with her husband, Larry, and has two grown daughters. David came to Temple Beth-El as rabbinic intern in 2009, during his first year as a student in the ALEPH Ordination Program. Under Rabbi Shohama’s mentorship, he learned liturgy, spiritual direction and tools of synagogue management, and became music director of the shul’s Band by the Sea. He earned smicha as mashpia ruchani (spiritual director) in 2014 and smicha as rabbi in 2015, and now serves as co-rabbi with Rabbi Shohama. 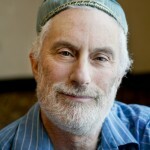 Learn more about Rabbi David on his clergy webpage. David Daniel came to Temple Beth-El as a Rabbinic Pastor student in the ALEPH Ordination Program, from which he earned smicha in January 2007 after a first career in finance. He retired as a Clinical Pastoral Education supervisor (training chaplains in pastoral care) in May 2015, and now teaches pastoral care for ALEPH. 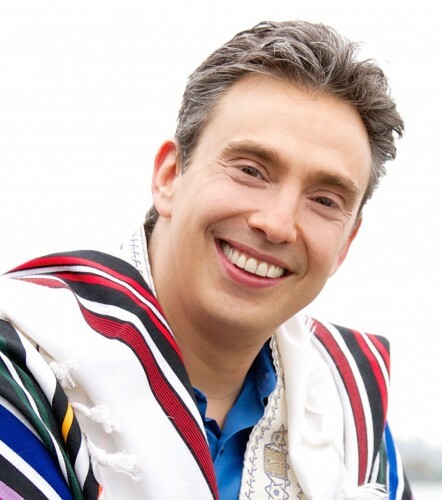 David Daniel also earned certification as mashpia ruchani (spiritual director) at Lev Shomea (Jewish Institute for Spiritual Direction); he now serves as member of the ALEPH Mashpia Faculty, as spiritual director for both ALEPH students and others. David Daniel has been married for 33 years, and is the father of two sons. Aliza Erber came to Temple Beth-El as a Rabbinic Pastor student in the ALEPH Ordination Program, from which she earned smicha in January 2011 after a first career in medicine. Israeli by birth, Reb Aliza was dual certified as a chaplain and has taught Hebrew at SUNY-Purchase. She now serves with the BeYachad Center for Jewish Life Cycles and Learning in White Plains, New York, where she resides. She has two sons.